Moong Dal Khichdi Recipe – Healthiest 1 pot meal prepared using Pulses, Rice and spices. 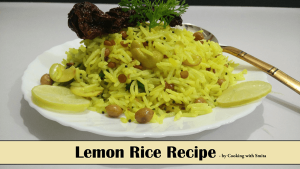 Traditionally, it is prepared with Rice and Lentils, but there are many variations and can be prepared in many ways using different ingredients. A light, comforting and delicious dish is easy to digest too. Khichdi is best served with Papad, Pickle and Curd. 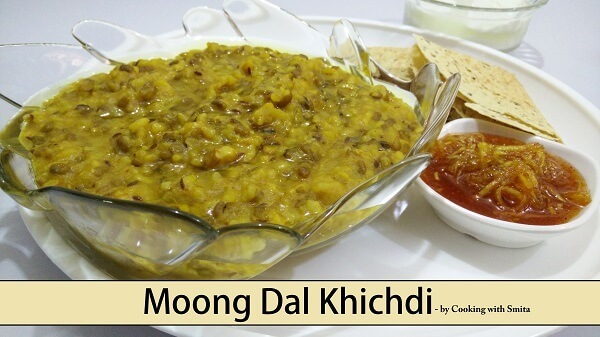 Follow the step-by-step guide to prepare Basic Moong Dal Khichdi at home. Rinse and wash Rice and Moong Dal together. Heat Ghee in Pressure Cooker over medium-high flame. Saute Cumin Seeds and Garlic for 1 minute. After 1 minute, add washed Rice, Moong Dal and Water. Now, add spices – Red Chilli Powder, Turmeric Powder and Salt. Close the lid tightly and pressure cook on medium high flame for 5 to 6 whistles. Switch off the gas but do not open the lid until air pressure is released. After 5 – 7 minutes, open the lid and stir. Moong Dal Khichdi is ready to serve. Drizzle some Ghee and serve hot with Pickle, Papad and Curd.